Dmitry graduated from St. Petersburg Electro-Technical Institute with M.Sc. degree in electronics and microelectronics in 2007. Next, he started to work at Ioffe Institute focusing on developing novel semiconductor structures for microelectronics applications. In 2012 Dmitry joined leading global semiconductor company – Samsung Electronics, where he worked on GaN-on-Si technology for LED applications and advanced epitaxy of Si and Ge for new types of semiconductor memory. 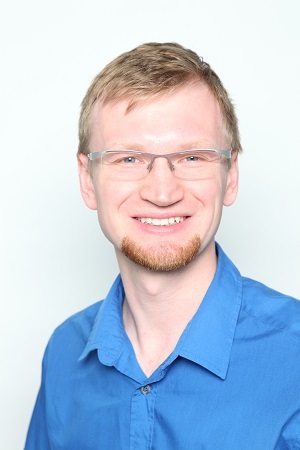 From 2014 till 2018 Dmitry was a Ph.D. student at Ecole Polytechnique Federale de Lausanne (EPFL), Switzerland, where he recently successfully defended his work on advanced characterization of nanowire photovoltaic devices and obtained a Ph.D. degree in Materials Science. During 9 months in 2017, Dmitry was a visiting scientist in McIntyre lab at Stanford University, working on high-k dielectric ALD passivation of Si and III-V semiconductor nano/microstructures. D. Mikulik, A. C. Meng, R. Berrazouane, J. Stuckelberger, P. Romero-Gomez, K. Tang, F.-J. Haug, A. Fontcuberta i Morral and P. C. McIntyre, Surface Defect Passivation of Silicon Micropillars, Advanced Materials Interfaces (2018), 1800865. A. Dorodnyy, J. Vukajlovic Plestina, Y. Salamin, N. Lassaline, D. Mikulik, P. Romero-Gomez, A. Fontcuberta i Morral and J. Leuthold, Plasmonics Photodetectors, IEEE Journal of Selected Topics in Quantum Electronics (2018), 24(6), 1-13. M. Lee, D. Mikulik and S. Park, The investigation of in situ removal of Si substrates for freestanding GaN crystals by HVPE, RSC Advances 8 (2018), 12310-12314. D. Mikulik, M. Ricci, G. Tutuncuoglu, F. Matteini, J. Vukajlovic Plestina, N. Vulic, E. Alarcon-Llado and A. Fontcuberta i Morral, Conductive AFM as a characterization technique for nanowire solar cells, Nano Energy 41 (2017), 566-572. M. Lee, D. Mikulik, M. Yang and S. Park, The investigation of the stress in the freestanding GaN crystals grown from Si substrates by HVPE, Scientific Reports 7 (2017), 8587. M. Lee, D. Mikulik, M. Yang and S. Park, Nearly perfect GaN crystal via pit-assisted growth by HVPE, CrystEngComm 19 (2017), 2036-2041. M. Lee, D. Mikulik and S. Park, Thick GaN growth via GaN nanodot formation by HVPE, CrystEngComm 19 (2017), 930-935. F. Matteini, G. Tütüncüoglu, H. Potts, D. Mikulik, J. Vukajlovic-Plestina, E. Russo-Averchi, F. Jabeen, W. C. Carter and A. Fontcuberta i Morral, Impact of the Ga Droplet Wetting, Morphology, and Pinholes on the Orientation of GaAs Nanowires, Crystal Growth and Design 16 (2016) 5781-5786. M. Lee, D. Mikulik, S. Park, K. Im, S.-H. Cho, D. Ko, U. J. Kim, S. Hwang, E. Yoon, Effect of additional hydrochloric acid flow on the growth of non-polar aplane GaN layers on r-plane sapphire by hydride vapor-phase epitaxy, Journal of Crystal Growth 404 (2014) 199–203. M. Lee, D. Mikulik, J. Kim, Y. Tak, J. Kim, M. Shim, Y. Park, U. Chung, E. Yoon, and S. Park, A Novel Growth Method of Freestanding GaN Using In situ Removal of Si Substrate in Hydride Vapor Phase Epitaxy, Phys. Express 6 (2013) 125502. Y. Zhilyaev, D. Mikulik, A. Nasonov, T. Orlova, V. Panteleev, N. Poletaev, L. Fedorov, M. Shcheglov, GaAs p-i-n structures for X-ray detectors grown on Ge and GaAs substrates, Technical Physics Letters 38 (2012), 399-401. L. Fedorov, D. Mikulik, T. Orlova, V. Panteleev, N. Poletaev, S. Snytkina and Y. Zhilyaev, GaAs P-I-N structures as detectors of x-ray radiation, Journal of Physics: Conference Series 291 (2011) 012051. Y. Zhilyaev, D. Mikulik, T. Orlova, V. Panteleev, N. Poletaev, S. Snytkina, and L. Fedorov, Nauch. Tekh. Vestn. SPbGU ITMO 4 (68) (2010), 132-133. W. Manorotkul, S. Joong-Han, BJ Kuh, H. Choi, D. Mikulik, US Patent US 9576969 B2, “Integrated circuit device including polycrystalline semiconductor film and method of manufacturing the same”, 2017.